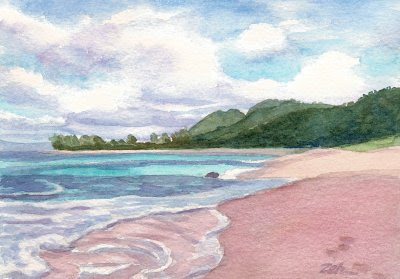 The clouds cast a shadow on the foreground of this painting as the sun peaks through to light the beach and water in the distance. That's what caught my eye with this scene and inspired me to paint it. The other things I like about this painting is the swirl of water as the ocean laps up onto the shore and the majestic sky.